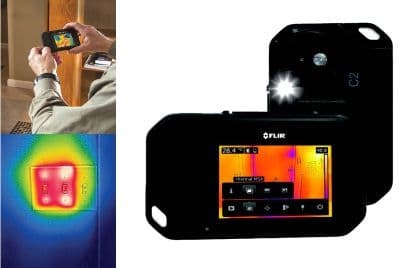 The E4 from Flir has advanced features that can assist the leak detection process. With MSX enhancement edge detail is added to the thermal image to accurately pinpoint the source of the hot or cold spots in the image. The camera has a USB port for exporting to your PC for further processing. 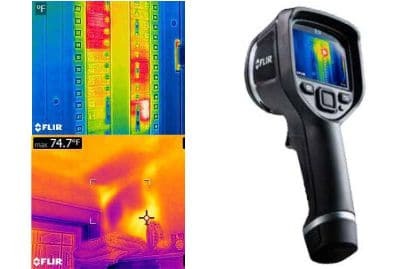 With many of the same features as the E4 but in a convenient pocket sized design the C2 is the thermal camera you won’t want to be without. With touch screen navigation and automatic image rotation it is easy to operate and the USB interface allows you to download your radiograms to your PC for post processing and reporting.